After a four-year hiatus and a crafty rollout, Eminem's Revival is finally here. The first two singles from the LP, "Walk on Water" and the polarizing "Untouchable," had fans immediately on the fence — as did a dicey track listing met with universal scepticism. 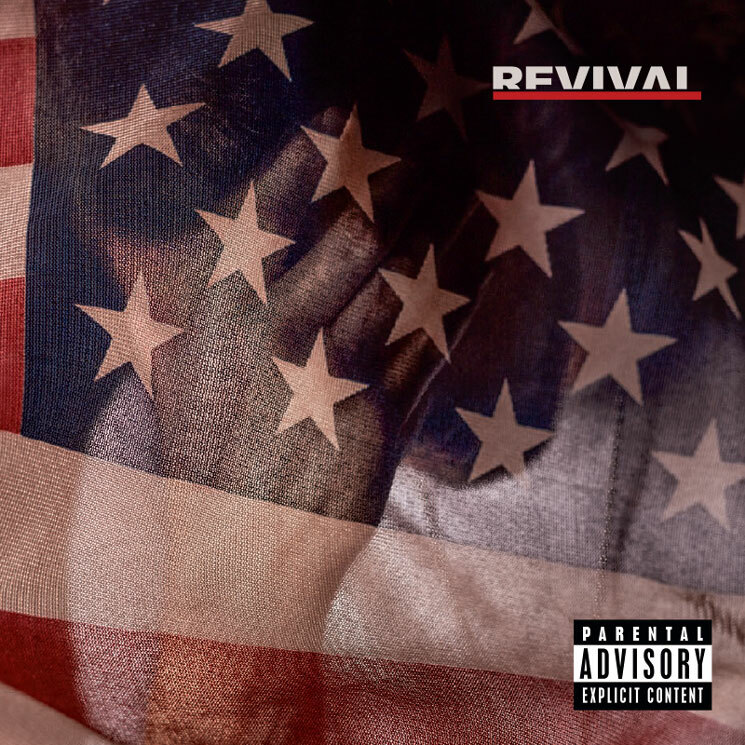 Now that it's here, though, we can say that the real Slim Shady does show up and prove himself on a handful of Revival's songs, but many of the more 'noteworthy' moments are buried under a mountain of contradictions and cringe-worthy attempts at shock value. Conceptually, the project is a smorgasbord of ideas that fail to create a consistent vibe. For example, on "Untouchable," he awkwardly breaks down the plight of the urban community, and on "Bad Husband" featuring X Ambassadors, he gives an honest account — and apology — to Kim (whom we all know). Then, out of nowhere, he's a crotch-grabbing creep on the douche-bag anthem "Heat," produced by Rick Rubin. He's closest to maximum Shady on "Framed," where he's supposedly set-up for a series of women's murders including Ivanka Trump (whose body he discovers in his trunk). The album's strongest run, though, comes with "Castle" and "Arose," which together contextualize the lead-up to his 2008 methadone overdose, with "Arose" being his internal dialogue as he watches his loved ones react to him nearly passing away. There's a lot to unpack here. Em essentially makes a woman have an abortion on the Ed Sheeran-assisted "River," and sticks it to Trump on the Alicia Keys-assisted "Like Home." But those more 'woke' moments seem disingenuous, and his 'shock value' (in today's landscape) seems tame and tiresome. Perhaps, as "Walk on Water," suggests, we're holding Eminem to an unrealistic standard. If this is his final curtain call (on his own terms this time), it will likely be remembered alongside shaky finales like Seinfeld or Sopranos — and less like the graceful bowing out of a champ like Michael Jordan.